Our previous blog focused on attempt and conspiracy in North Carolina. This one focuses on solicitation and aiding and abetting in North Carolina. 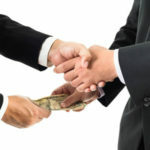 Solicitation occurs when a person either induces someone else to commit a crime or offers another person something of value to commit a crime. The person soliciting the crime must have the specific intent for the other person to commit the crime. Solicitation is governed by North Carolina General Statute 14 – 2.6. Unless specifically provided for by statute, a person who solicits another to commit a felony will be found guilty of a felony that is two classes lower than the felony in which they solicited. For example, a person who solicits another to commit a Class D felony will be found guilty of a Class F felony. Special rules for punishment of felony solicitation – A person who solicits another to commit a Class A or B1 felony will be found guilty of a Class C felony. A person who solicits another to commit a Class B2 felony will be found guilty of a Class D felony. A person who solicits another to commit a Class H felony will be found guilty of a Class 1 misdemeanor. A person who solicits another to commit a Class I felony will be found guilty of a Class 2 misdemeanor. Unless specifically provided for by statute, one who solicits another to commit a misdemeanor will be found guilty of a Class 3 misdemeanor. His or her actions or statements caused or contributed to the commission of the crime by the other person. Aiding and abetting is not a separate crime per se, rather, it describes someone’s participation in a crime. The person need not be present at the time the crime was committed. The person must have the specific intent that the crime be committed. Although the state must prove that the underlying crime was in fact committed, the principal actor of the underlying crime need not necessarily be convicted first. Mere presence alone is not enough, even if the person has the intent to assist a person in the crime. The person must actually aid or actively encourage the person committing the crime or communicate to that person in some way his or her intention to assist. Typically, a person guilty of aiding and abetting is punished just as seriously as the underlying crime is punished. A person who aids or abets a crime is guilty of that crime and is punishable as provided for that crime. For example, aiding and abetting DWI is punished just as a DWI is punished. This tends to be surprising to most people. Although it may seem unfair, it is the current law as it stands in North Carolina. One should note that some crimes provide for specific punishments for aiding and abetting of that crime. The statute for the specific crime will indicate if aiding and abetting that crime will be punished at a lower level than the principal crime is punished. If you have been charged with solicitation or aiding and abetting, you should contact a criminal defense lawyer to discuss your options.